The EBP RSL Mosaic Prepaid eftpos Card has been created to give members the freedom to spend reward points earned with EBP RSL at any merchant in Australia that accepts eftpos, subject to merchant discretion. You can also transfer promotional wins onto the card, as well as load your own funds onto the card for additional or higher value purchases. Cardholders are able to spend the available balance on the card using eftpos terminals across Australia, at merchant discretion – that’s 325,000 retailers nationwide! There are no credit checks required, and the card is not linked to your personal bank accounts. It’s a totally prepaid solution. As a cardholder you’ll also be eligible to gain access to special promotions and activities at EBP RSL specifically designed for the Mosaic Rewards Program. (Terms and conditions apply). Gobsmacked Loyalty Pty Ltd ABN 60 098 218 216 (AFSL 444609) is the issuer of the card. The PDS is available and can be obtained online at www.ebprsl.com.au. You should consider the PDS in deciding whether or not to acquire or keep the card. 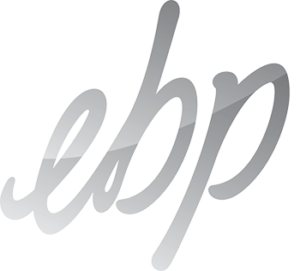 EBP RSL is responsible for the Mosaic Rewards program and promotions and the conversion of reward points to monetary value. Refer to the EBP RSL reward promotions and program terms and conditions.